Huawei's Mate 9 was an excellent smartphone, and it was one you could actually buy in the US. We don't know where the Mate 10 is going to be on sale when it launches, but we have a pretty good idea what it'll look like now thanks to a leak from OnLeaks and CompareRaja. The render shows something very similar to several other recent Huawei phones, but hey, there's still a headphone jack. Like other renders from OnLeaks, these images are based on factory CAD files. They should be very representative of the final device, but some minor details could be different. 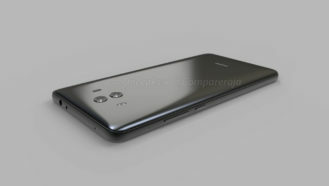 The data from OnLeaks points to a 150.2 x 77.5 x 8.4mm frame with a slight camera hump due to the thickness of the optics. 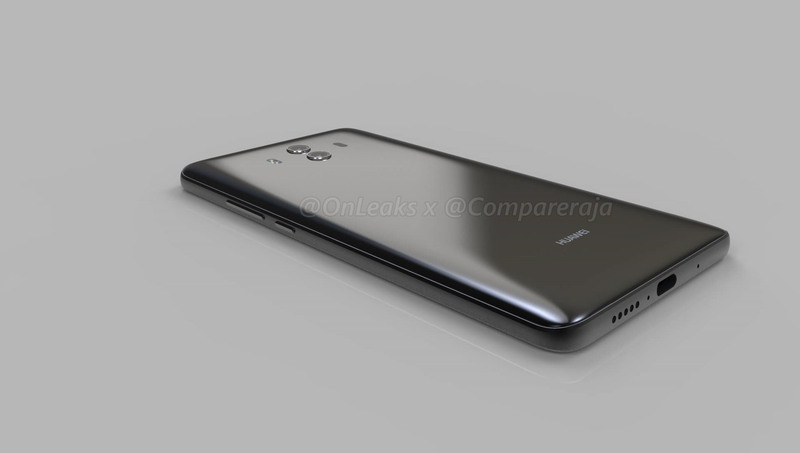 There will be two camera sensors on the rear of the phone, presumably one RGB and the other monochrome like other Huawei phones. 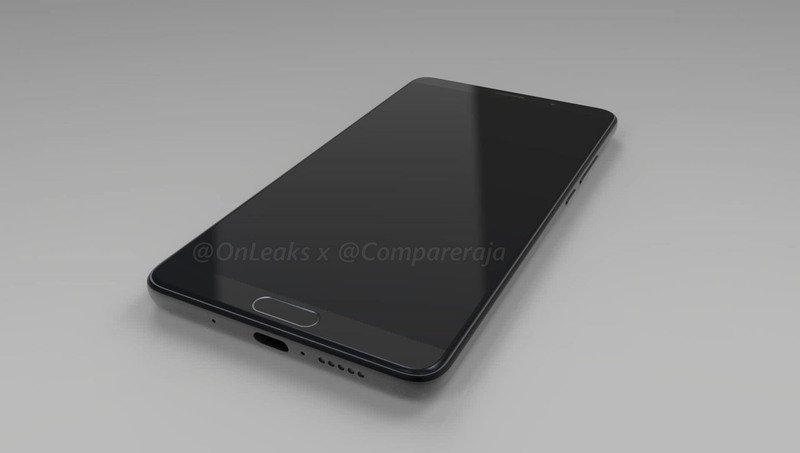 There's a USB Type-C port on the bottom edge and a headphone jack on the top. 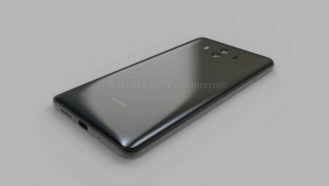 The back of the phone is reportedly a curved glass panel, which is a departure from the metal frame of the Mate 9. Another change for the Mate 10 is the fingerprint sensor on the front of the phone. Huawei has been doing this lately, but the Mate 9 had a rear-facing sensor. 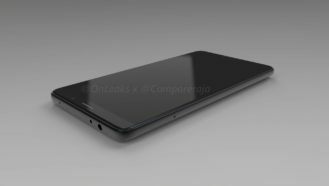 The 5.9-inch screen will be the same size as the Mate 9, although the overall device is a hair narrower, indicating slimmer bezels. Huawei is set to announce the Mate 10 on October 16th. It will run the newly announced Kirin 970 SoC, which is supposed to have improved AI capabilities.